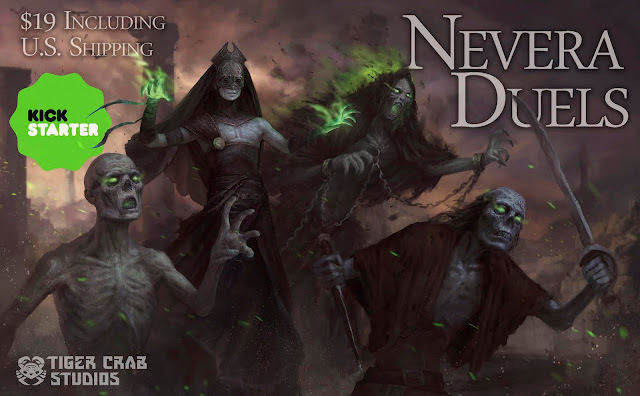 In Nevera Duels, players take on the role of necromancers, summoning undead minions to send forth into battle. Throughout the game, players unleash powerful abilities and spend energy to help their minions ascend into even greater warriors! 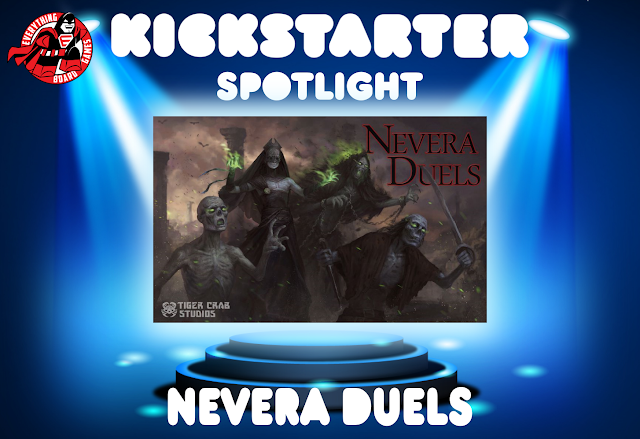 Nevera Duels is a two-player card game that has deck-construction as a core mechanic. Players must destroy eight of their opponent’s cards in order to win. This is done by drawing cards, playing cards for energy, and then using that energy to summon, activate, and ascend minions. As minions ascend, they grow more powerful, ready to decimate the opposition. Of course, a more powerful minion is worth more points for your opponent when defeated, so with that added strength comes an added risk, as well. Another benefit is that all minion cards can be played for energy, which means there is no falling into the pit of not being able to afford energy costs due to unlucky draws. 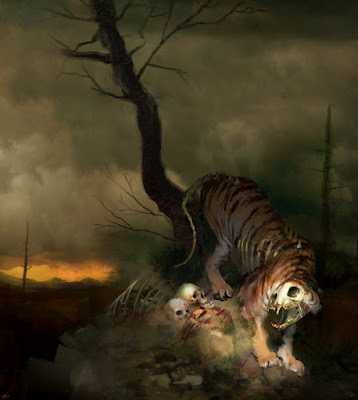 Each player’s deck is constructed of 36 cards, and no card is more rare—or over powered—than another. Cards in Nevera Duels have been balanced to ensure an equal playing field for all, making it a true game of strategy. How will you use your undead army to defeat your rival necromancer? Nevera Duels is live on KICKSTARTER between now and November 1, 2018 and has a funding goal of $6,500.